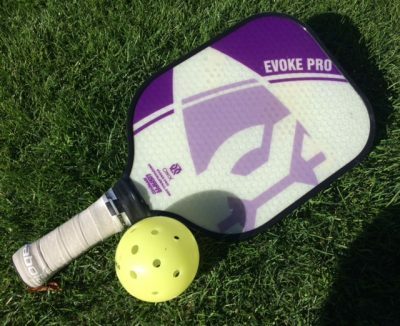 Lisa Naumu offers pickleball lessons and clinics in the Palm Desert area of California. She also travels extensively as a competitive 5.0 level player so may be available close to you if there is a USAPA tournament in the area. 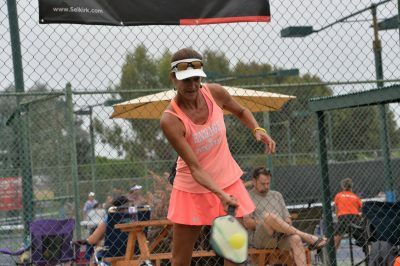 Lisa Naumu is a certified IPTPA (International Pickleball Teaching Professional Association) instructor, a USAPA 5.0 rated player and a sponsored professional. I can rate you so you know where you stand as a pickleball player. You can use your rating for your club rating and/or when you enter tournaments. This is a self rating by a certified pickleball pro. Approved by USAPA and IFP (International Federation of Pickleball). This is for the beginner, newbie or just starting player once or twice. The clinic will cover basic grip review, ball striking, rules, safety, court etiquette and scoring. This clinic is for the player who has been playing for a while and is somewhat consistent with dinking, 3rd shot, can serve and return the ball in the court most of the time, and understands basic player positioning and basic strategy. This clinic is for players who understand pickleball strategy, scoring, positioning, dinking and 3rd shot drops, can consistently serve and return the ball in the court and understands the importance of getting to the kitchen line in order to be successful in pickleball.